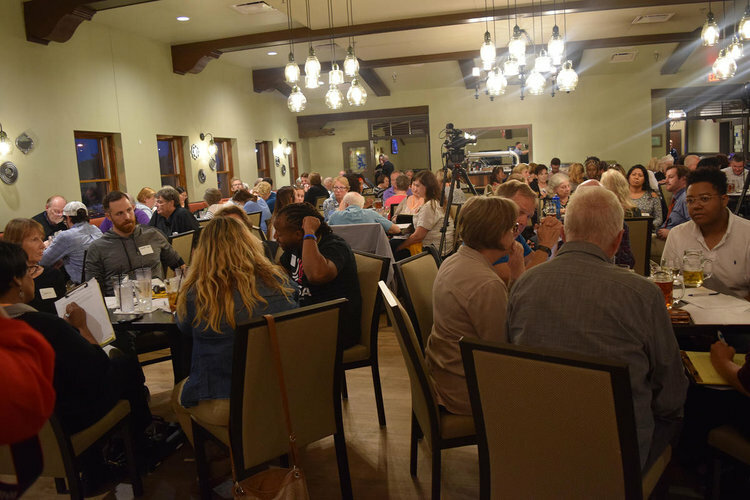 The Across the Red & Blue Divide event, which took place in Glendale, included a panel discussion and small group discussion circles. Panelists included with Milwaukee County Circuit Court Judge Jane Carroll, Republican Rep. Rob Hutton (District 13), Democratic Rep. David Bowen (District 10), and Director of EX-Prisoners Organizing Jerome Dillard. More discussion included what each person thought real reform would look like. And what, if anything, needed to be changed and why. As the conversation concluded, group members said they want to keep learning about the issue, take back what they heard to their communities, and be part of the solution. This free community event is the fourth in a series on political polarization. We invite participants to return for the final dialogue November 13th, 2018.